Well, seeing as the weather suddenly took a turn for the worse, it’s high time that we start crocheting warm, bulky and comforting items. This shrug is a great example of a project in this category. Made with thick yarn, the pattern creates a richly textured, dense shrug for keeping your shoulders warm, whether it be in your favorite armchair at home, or a cool night at the cottage in front of the fireplace and a glass of something heartwarming in your hand. Poncho and Capelet for Young Girls. A link to a free pattern site is at the end of the post. It is a link to a half blank page. There is no pattern. Hi Sarah, a link is fine, we have check it. It says the pattern is free…. 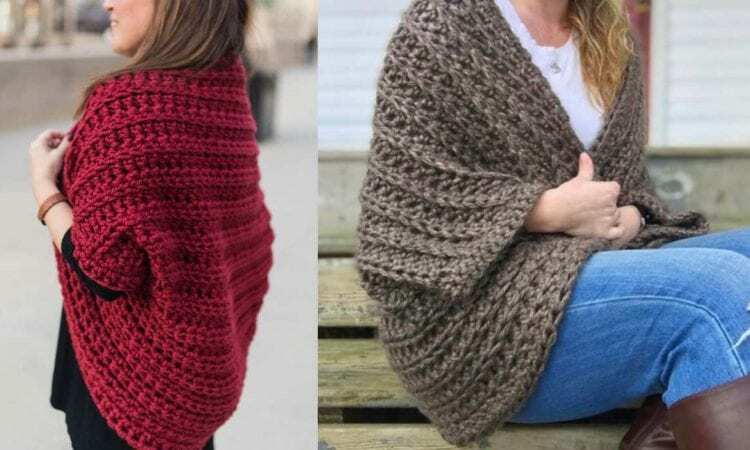 I really have fallen in love………with the Juno chunky shrug, but I am so disappointed I can not find the pattern anywhere although I have read the posts and have looked everywhere . Can somebody out there please help me. Hi, a link to a pattern is at the end of the post – it is usually under the name of a pattern. Can’t find the pattern. Seems to want me to sign up for another site which I don’t want to do. Ladies, I found the link, it is not obvious at all. If you scroll from the top and stop after the photo you will then see a sentence telling you to follow them on Facebook, then in larger Red print it says to PIN IT FOR LATER. Just below that it says Go to the pattern…, That is the LINK. It was very hard to determine where the link to the pattern was. You can also go to Ravelry and search “Juno Shrug”. I hope this will help. Sorry but nothing happens when I click on go to the pattern or anything else. Very frustrating. Did you actually get to the pattern Debbie? A link to a pattern is at the end of the post under the name of the pattern. Please look just above a newsletter sign-up.